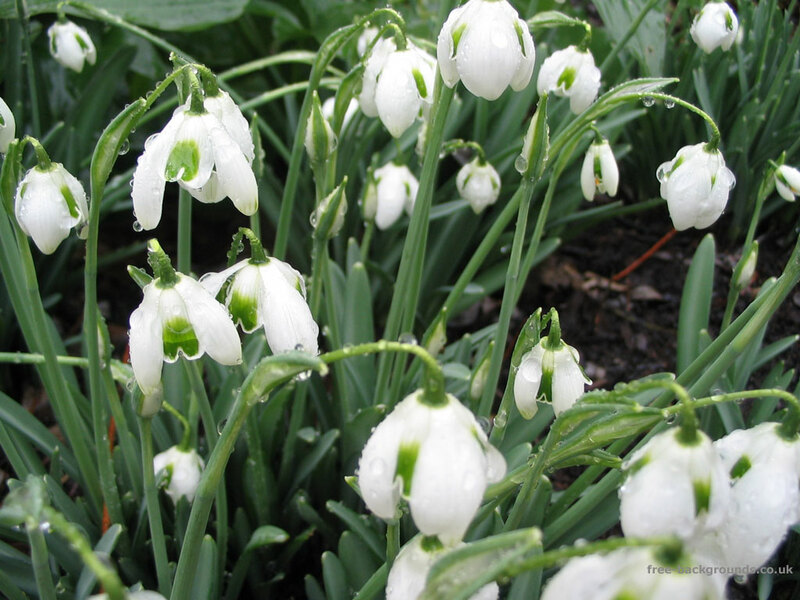 The gardens at Anglesey Abbey are well known for their snowdrops - many varieties of the beautiful white flowers are planted all through the grounds, and are available for sale from the visitors shop. These ones were by the side of the Winter Garden Walk, but I'm afraid I don't know what variety they are. As you can see, it was a wet day, and the rain had left droplets of water all over the flowers.